New for Cruise 2019, this bi-fold wallet is made in the new Micro Intrecciato workmanship, which features panels of embossed leather hand-stitched together for a unique, color-blocked look. 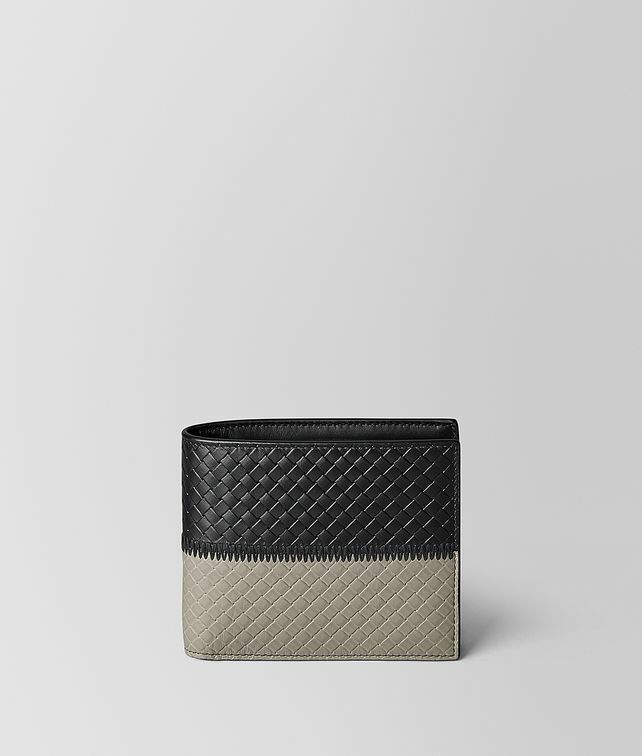 The wallet features a removable interior case in a contrast hue, equipped with five card slots. In addition to the removable case, the leather interior is fitted with three compartments and a pocket for bills. Width: 2.5 cm | 1"